Here at deBebians we specialize in all things jewelry with a focus on GIA certified diamonds and engagement rings. However, we also sell five stone rings, diamond eternity rings, diamond necklaces, gemstone jewelry, and so much more. Today, I’d like to highlight some of my favorite non-engagement ring pieces that we have recently made here at deBebians. This gorgeous GIA certified heart shape diamond halo necklace is really one of a kind. The center diamond is 0.71ct F color and VS2 clarity and is surrounded by 0.20cttw round diamonds. 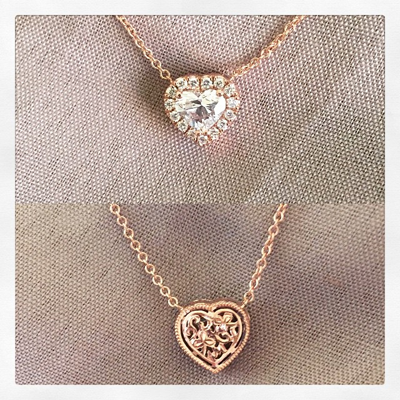 What really sets this diamond heart necklace apart from others is the gorgeous hand engraving. Wow! What a piece… and for only about $4200. This green amethyst and white diamond halo cocktail ring is a really fun piece to wear. 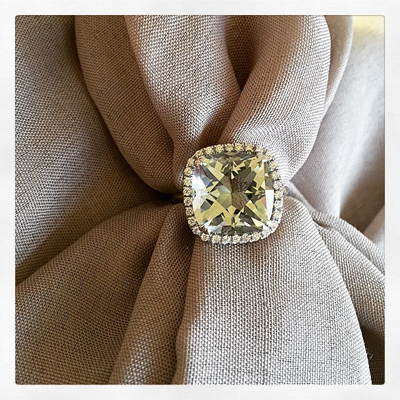 This particular green amethyst is 7.47ct and is cushion cut. Combining the diamond carat weight, you almost have over 8 carats of gemstone and diamonds for only about $1650. If you do not love green amethyst, we can source other gemstones for this particular ring. Some other beauties would be purple amethyst, morganite or even perhaps a chalcedony. So many fun options to consider! 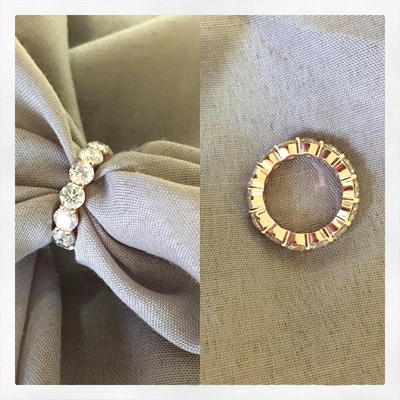 This 5.00cttw rose gold buttercup eternity ring will really amaze you. The diamonds in this ring are F-G color and VS clarity which to me, really maximizes the overall sparkle and beauty of this ring. Yes, this could be an engagement ring and/or anniversary ring but could also be a fabulous choice for a wedding band. Lucky lady whoever gets to wear this beauty every day! With Mother’s Day coming up, this could be that perfect gift for any mom on your list. 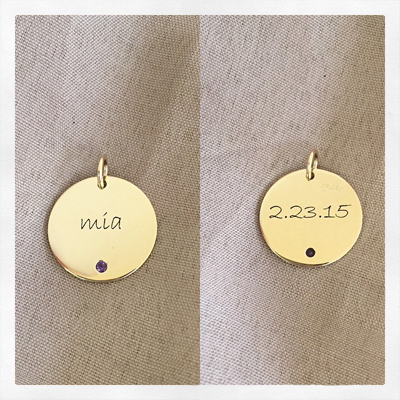 With this personalized disc, you can select a birthstone and add engraving to it with a name and/or date as well. Believe me, moms love these types of gifts so consider this for a birthday or holiday gift, too. Remember when considering deBebians that we have lots of other gorgeous jewelry besides loose diamonds and engagement rings. If you need assistance, do not hesitate to call on us.